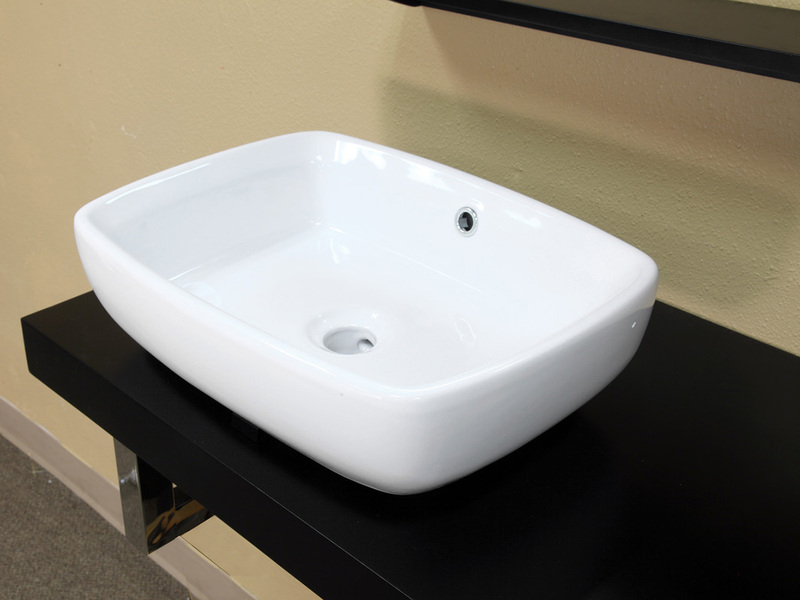 The Corsica Wall Mounted Vanity features a modern design with its black finish, clean lines and white ceramic vessel sink. 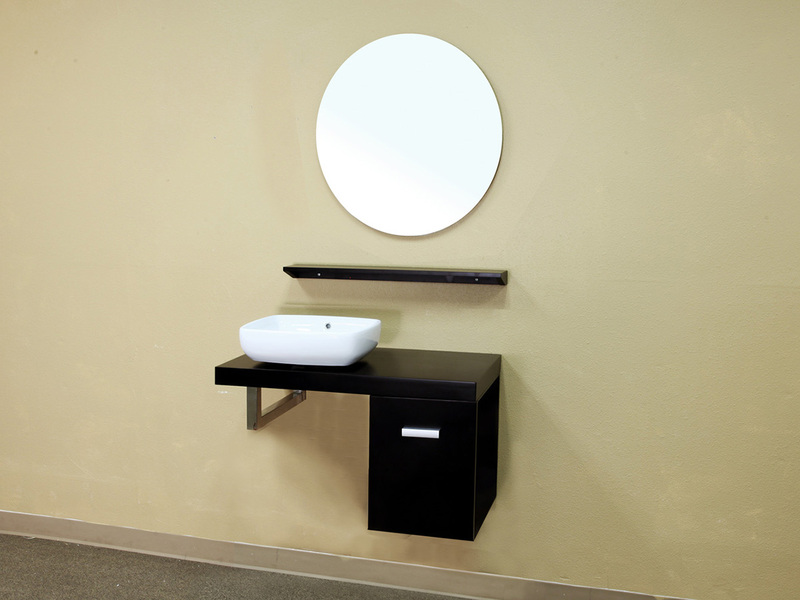 This vanity provides a lot in a small area with its side mounted cabinet and counter space, allowing you all the convenience of a bathroom vanity without taking up all of the space. 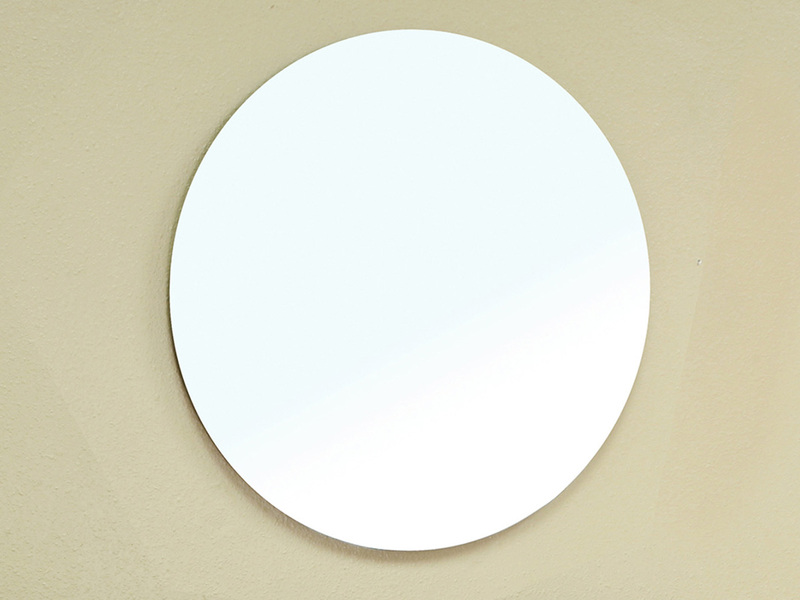 The cabinet provides storage space for your bathroom accessories. 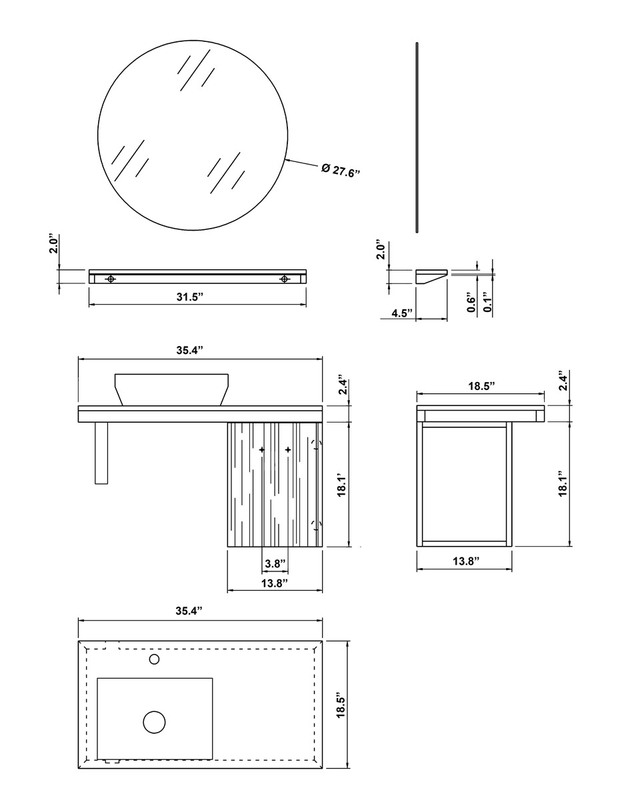 The counter top and cabinet are constructed with solid birch wood and have a water proof black finish to keep this vanity looking great. 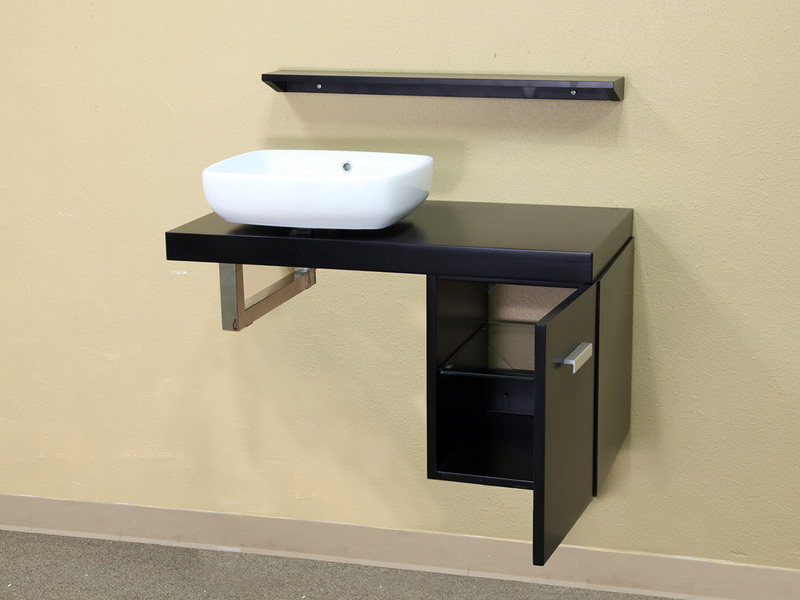 An optional mirror with shelf is available to make this vanity even more functional and stylish.